On a recent investor roadshow to Texas, we had the opportunity to meet the top management of ten Texas headquartered U.S. banks. The Texas economy is booming (annualized real GDP grew +5.2% yoy in Q4/17 making it the fastest growing economy of all 50 U.S. states1Bureau of Economic Analysis at the U.S. Department of Commerce) driven by a robust recovery in the energy sector and strong labor market trends in an increasingly diversified economy. With the recent rollback of Dodd Frank legislation, we also believe that the Texas banks’ are favorably geared to consolidation within the U.S. mid-cap banking sector (i.e. assets below $100 bln). Hamilton Capital’s three ETFs – Hamilton Capital U.S. Mid-Cap Financials ETF (HFMU.U),Hamilton Capital Global Financials Yield ETF (HFY), and the Hamilton Capital Global Banks ETF (HBG) – continue to maintain overweight positions in U.S. mid-cap banks in high growth regions with attractive risk-adjusted valuations. The U.S. mid-cap banks are largely unrepresented in large indices. HFMU.U has the highest exposure to U.S. banks (~70% weight) and the strongest gearing to the Southeast and Southwest (including Texas) followed by HBG (with ~45% weight).Given the sectors relatively low dividend yields, HFY’s exposure to U.S. banks is ~15%. 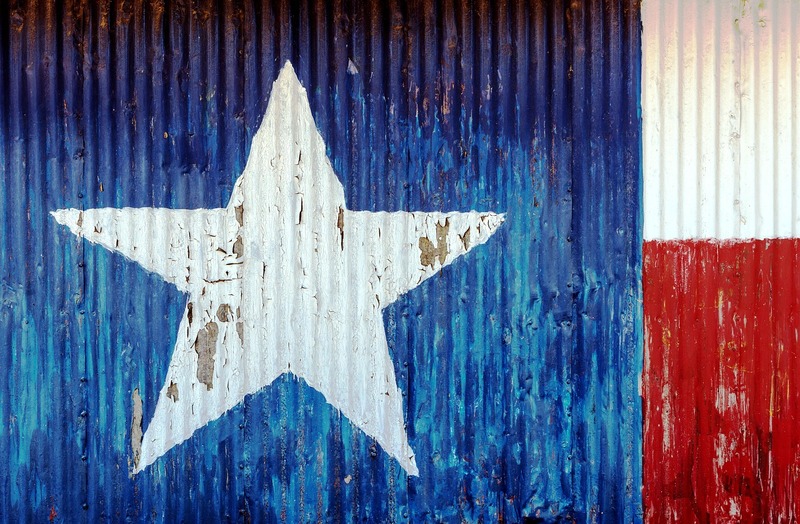 With a GDP larger than Canada at $1.8trn and a population of 28mn, the Texas economy is booming, leading the country. A robust energy market is driving job creation not just in the energy sector but also in manufacturing and construction. According to the Dallas Federal Reserve, Texas will add 412k jobs in 2018, +3.3% yoy versus +1.9% in 2017. Longer term, a pro-business, tax and policy environment is expected to drive record net population and household income growth in the next five years (+3.5% and 8.9%, respectively2SNL Financial, Compass Point). Every one of the bank CEO’s we met in Houston and Dallas echoed this positive sentiment and cited strong loan demand particularly from their small and mid-sized corporate clientele. The mid-sized bank CEO’s were particularly keen to leverage the state’s robust economic outlook and the current conducive regulatory environment, to consolidate banking market share via M&A. Most were keen to grow via acquisitions into contiguous markets (mostly in the Southeast and Southwest). However, with elevated valuations and rising deposit costs, management teams said that they were willing to be patient. Many suggested that a valuation multiple of 3x P/TBV seemed to be a transaction red line they would not pay beyond. A target deal needed to be accretive in the first year itself and should not drive greater than 5% tangible book-value dilution. Bank M&A valuations have continued to trend upwards since the 2016 U.S. Elections. P/TBV has averaged 2.3x for the 20 large bank M&A since 20162SNL Financial, Compass Point and rose to 2.7x for the largest transaction YTD (Fifth Third’s acquisition of Chicago based MB Financial). See our May 28th ETF Manager Comment “U.S. Banks: Will U.S. Bank M&A Accelerate Post Dodd-Frank Rollback (3 Deals in 3 Weeks)”. Generally, the larger banks (assets of $100-$250bn) we met were more circumspect on M&A as the formal rule-making on the Dodd Frank rollback for these banks was still 12-18 months away. Increase in funding costs as the U.S. interest rate cycle further normalizes was the second most recurring theme during our meetings (the first being M&A). According to the latest quarterly forecasts, FOMC officials expect four rate hikes by 2019 end, which will result in higher asset yields and funding costs for banks. Near-term, most banks expect stable to expanding net interest margins as asset beta (i.e. rate of increase on asset yielding loans) is expected to remain greater than deposit beta3Beta measures deposit rate changes relative to market rate changes (Source: FDIC). Deposit competition remains particularly high in the Texas triangle (large MSA’s of Houston, Dallas and San Antonio). Digitization is generally expected to drive deposit betas higher than in previous interest rate cycles. Overall, given the very strong economy, banks are seeing few (if any) signs of budding credit quality stress. Competition from non-banks is more likely to be a source of near-term yield compression than signal a maturing credit cycle. Mid-sized C&I loans: While strong GDP growth is resulting in benign credit quality, most management teams cited increased competitive pressure on lending terms in mid- sized commercial and industrial lending from private debt funds and life insurers. Banks said non-bank lenders were willing to compete on duration (longer), collateral terms (less stringent) and pricing (lower). CRE: Banks were sticking to 60-65% loan-to-value in CRE lending particularly as the real estate cycle matures. However, “covenant-lite” lending from non-banks is increasing competition (i.e. extending maturity, increasing loan-to-values) and pressuring lending yields in some markets. Overall, supply-demand was stable across most major MSAs in the state. Oil & gas: Most Texas banks we met have nearly halved their exposure to the energy sector since the 2015 energy market correction and were not looking to raise exposure (particularly to the more cyclical offshore energy sector).